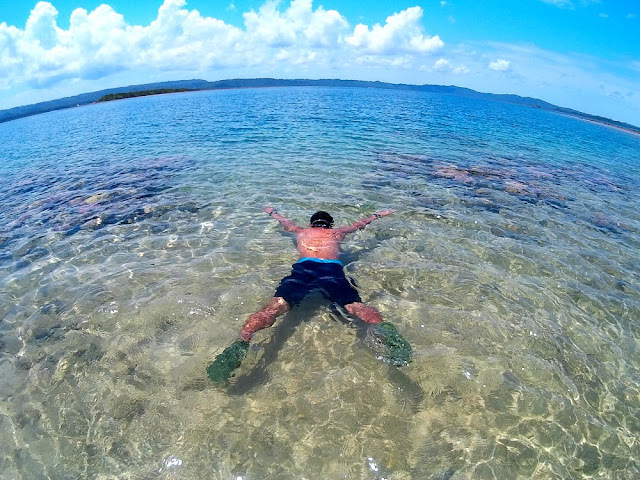 Visiting Palawan is a dream vacation and most probably on top of every Filipino’s bucket list to experience this grand paradise dwelling in the Last Frontier of the Philippines. This world class tourist destination is no longer new to me as I have been in the island for several times. In fact I made some noted works in the southern part of the island during the height of my course in Environmental Science and Ecosystem Management. But during those days, I spent little time for leisure and wandering to enjoy the beauty of the place and it did not even cross my mind to look around as I was 100% focused on my job documenting the soil profile of the mountains of Espanola. Living in the area was just like any ordinary “probinsya” days way back in 2007 until I saw the pictures of my friends who’d been in the beautiful spots of Palawan that made me feel a little bit jealous. Recently, while scrolling down on my emails I found a notification from a local flight carrier reminding me of my scheduled flight bound for Puerto Princesa. I almost forgot the reservation I made almost a year ago. It was timely that it coincides with my 2nd quarter home leave from work in Mindanao ,so I took the chance to have some bit of good vacation and splurge a little.I decided to chase El Nido since I have never been there for recreation purposes. From Butuan I took a connecting flight bound for Manila then to Puerto Princesa. At the airport, I was picked up by Fort Wally servicing van for Php 700.00 that sent me off to El Nido. The ride lasted for about an approximately four hours before we reach the talked about town. It was good to see that the road to El Nido is almost 90% finished which made the long trip a little bit comfortable. Reaching the terminal I took a tricycle and requested for a quick round in the town. I asked the driver’s suggestion for a good and cheap accommodation. I requested that it should be away from the crowded center of the town. 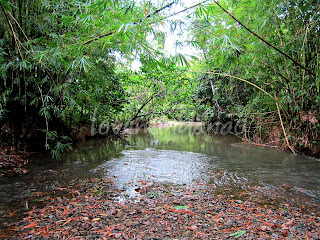 We drove a kilometer towards the small barangay of Curong Curong and inquired on some available resorts. At the end of the haggling with managers and attendants I decided to settle with Telesfora BeachResort (click). I took a little rest and hit back the town proper or poblacion and had my dinner at Sea Slugs Bar and Resto along the “aplaya”. Curious about the night life of El Nido, I searched for the famous Art Café and hangout a little with some tourists with a bottle of beer while listening to the jazz music played by a band. The place is a hit among travelers and serves as a common spot for you to meet other travelers either foreigners or locals. When the clock hit 11pm, I decided to retire back to Telesfora Resort. Thank God, tricycle service in town operates 24 hours. It was June 13 and I don’t know if the accident that happened the night before has something to do with the number. A ferry boat MV Josille 2 by Atienza Shipping Lines sunk when one of the engines died and battered by big waves and crushed into one of the rocky island of Pagawanin in Bacuit Bay, El Nido. The incident left 5 passenger and crew dead and 65 carabaos on board perished and dozens of passengers injured took refuge in Tent Island. All island tours scheduled that day were cancelled as boatmen assisted the PPA and Philippine coastguard in rescuing the victims. Our tour facilitator, to which I made an arrangement, kept on negotiating with the Philippine Coast Guard (PCG) for us to have an island tour even on the nearest spot.But with no luck, the PCG disapproved all requests made by all Island Tour Facilitators. With this unfortunate event, Kuya Ramil of CAERA Travel and Tours suggested of having an inland tour instead. Accompanied by other 5 guests, we hit the rode bound for Nacpan Beach. With the Habagat hitting the west coast of the Philippines, we experienced a heavy scattered rain . Reaching Nacpan, we take a temporary shelter on a nearby house that happened to be a close relative of our tour guide. With no other option, we cooked our food in the temporary shelter and had a delicious marinara lunch. 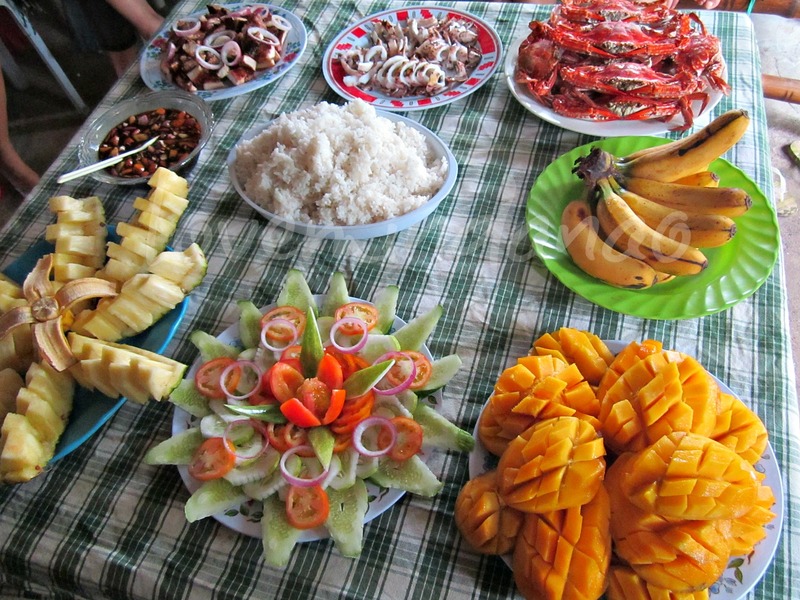 The food prepared by our tour guides was superb. I finished at least 5 crabs and it think I consume more than the other guests as I lost count of sumptuous food I put into my mouth .Hahaha. It could have been better it we had it on the beach. 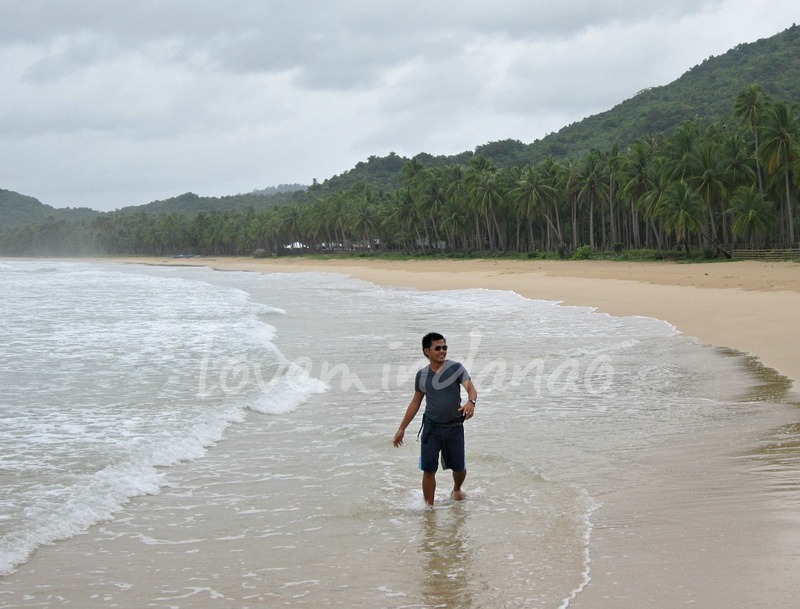 After the rain stopped, we stroll along the beach of Nacpan. The whole coast have a pale milky white coral sand. The cove was simply beautiful and very serene with no other visitors wandering on the beach other than us. We took the opportunity to enjoy the beach and had some picture taking for the next 30 minutes. Coming from Nacpan Beach, it took us only less than a few minutes to reach the jump-off point going to Nagkalit kalit waterfalls. According to our guide we have to trek going up to reach the falls. I made a little stretching as this off the book activity caught me off guard for a long distance walking tour. We started walking at almost 3:00 PM. Though unprepared, I enjoyed the trekking part as we encounter farm animals along the trail . We even have to cross countless springs and rivers. After an hour of endless walking, we reached the falls. For some who have not seen falls before would be amazed with this discovery but for me who have been to dozens of gargantum waterfalls in Mindanao like Tinuy-an and Tinago, the almost 15 feet Nagkalit kalit falls would be just a regular spring falls compared to the falls mentioned. Nevertheless, I joined the group taking a dip into the cool water of Nagkalit kalit to freshen up from the tiring hike we did. After a few minutes, we decided to descend back to the jump-off point as the day started to darken. We arrived back to El Nido aplaya just in time for dinner. I had a full blast meal at Sea Slug for less than Php200.00. Visiting the beautiful limestone islands and white beaches of El Nido was my primary goal for my 2nd quarter vacation away from Mindanao for the year 2012. It was a blessed day as the Philippine Coast Guard lifted the ban of pumpboats from taking guests to the island due to the recent accident/tragedy happened in Bacuit Bay. 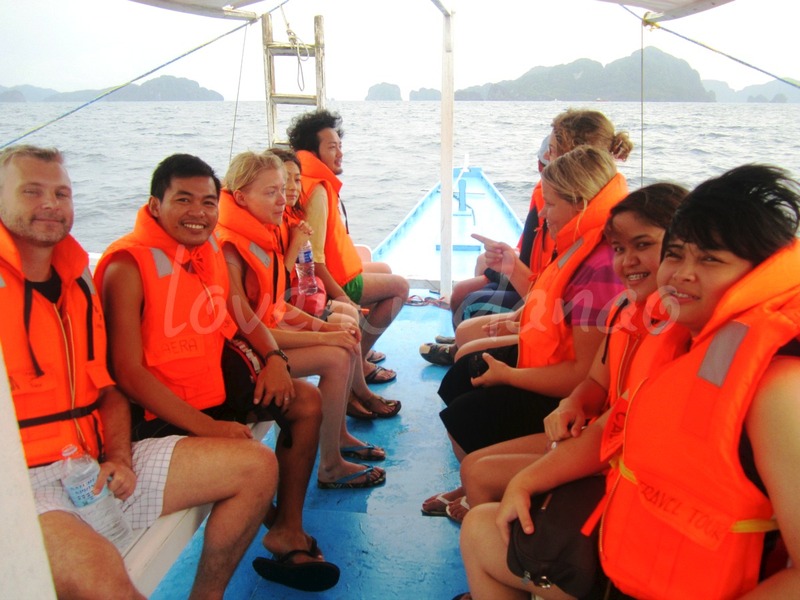 Together with all foreigner guests and travelers, we set sail to our most anticipated island tour. We were all in the Package A Island Tour which costs Php 700.00 per head. Travel time from the town proper is 20 mins by tricycle or air con van. 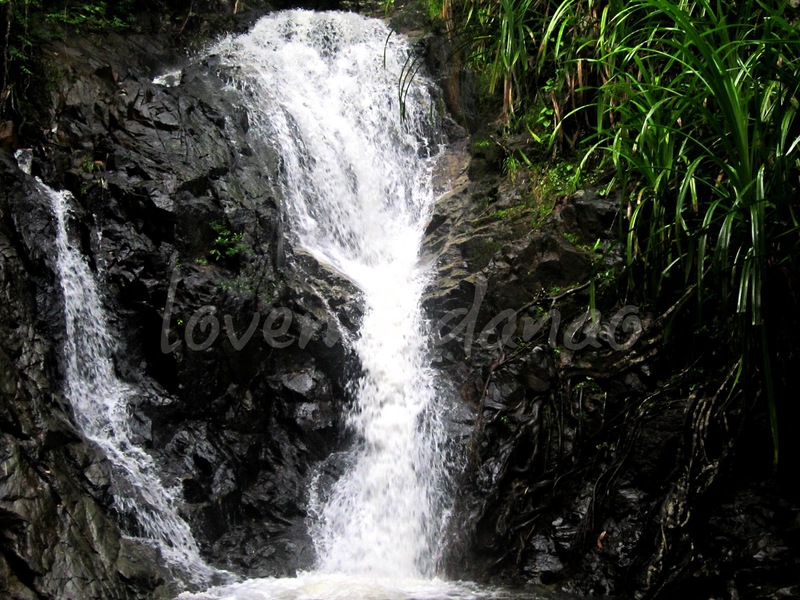 A local guide is needed and it takes an hour hike/trek to Nagkalit-kalit waterfalls through under forest area and cool off with a dip in the refreshing, cascading waters. Makinit Hot Spring 20 km. 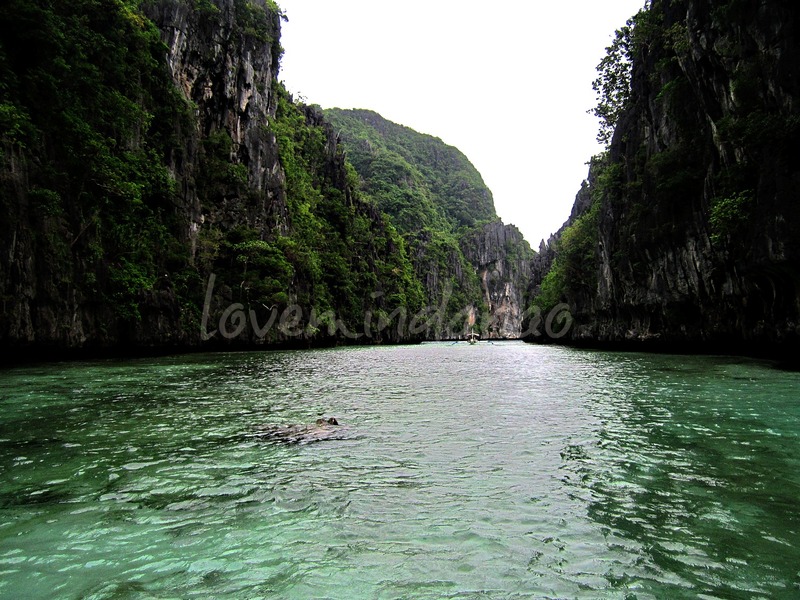 north of El Nido, 45 mins drive away from the town. You can feel the therapeutic warm water with smoke oozing out from the water. Beautiful beach, clear water best for snorkelling, swimming, sun bathing, peaceful place, panoramic view, long beach. 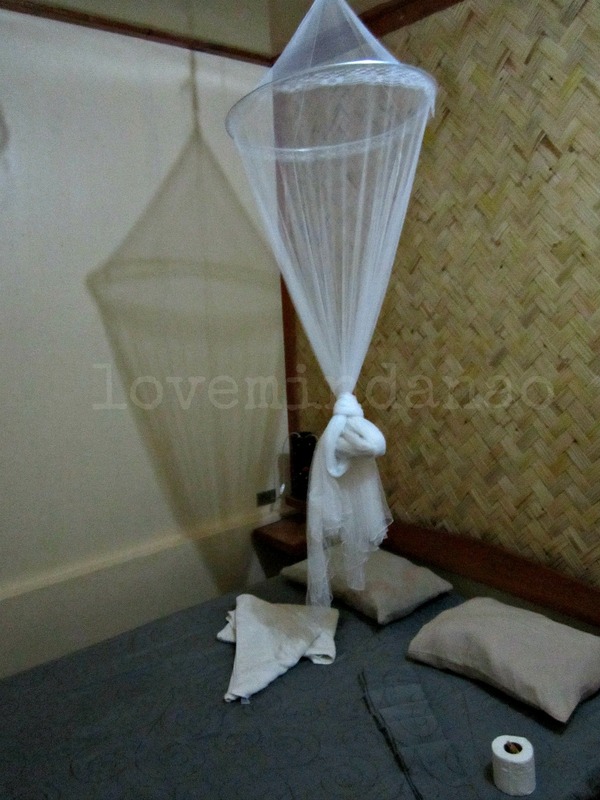 Traveling to El Nido is now easier compare to previous years. 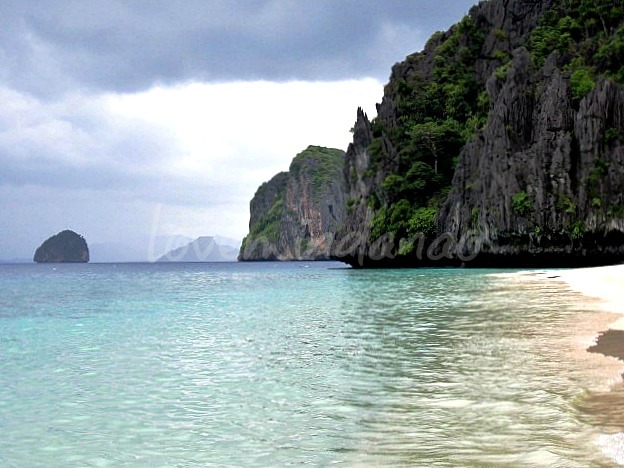 There are now atleast 3 entry points to reach El Nido. Direct flight from Manila to El Nido. There are a couple of airline company that have a direct flight to El Nido like ITI and SEA Air so it won’t be too hassle in your part traveling by land.Though this option is a little expesive. 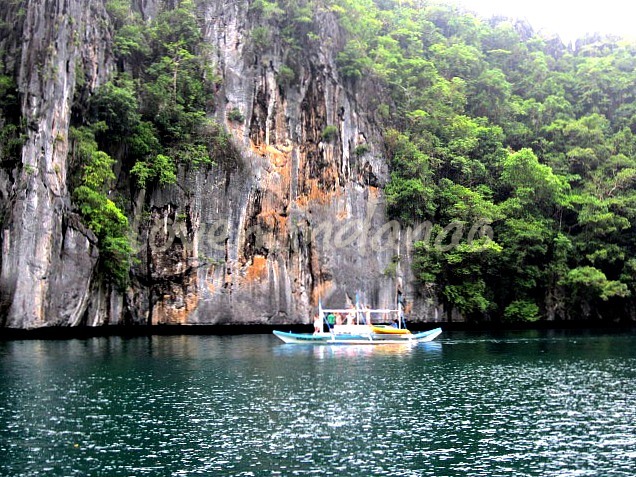 There are direct scheduled flights daily from several airline to Puerto Princesa, Palawan . From the airport you have options to get to El Nido. 1. Van For Hire- There are several van for hire company in PP. One is Fort Wally that has a shuttle service terminal in the city. 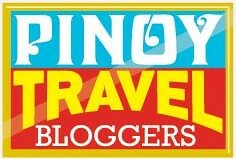 The fare per head is Php 700.00 that includes airport pick up. 2. Commute from PP to El Nido- If you are traveling alone or by two and would like to venture on traveling by public, you can take a tricycle from the airport and head to city proper ( Rizal St.), -fare is Php15-30. From Rizal St. take a multicab type jeepney bound for San Jose Terminal Bus Station, fare is Php15.00. At San Jose, there are several buses bound for El Nido, but I suggest to take the RORO airconditioned bus, fare is Php 380.00. Interval is every two hours. If you happen to be in Coron, Palawan, there are scheduled ferry boat trips everyday directly bound for El Nido to Coron and vice versa. This is managed by Montenegro Shipping Lines. El Nido is one of the best tourist destination in the Philippines. Thanks for the info's, I think I should run through out the post to have an idea about the place.